Amethyst is a tough gem, but avoid hot temperatures. Amethyst is the traditional birthstone for the month of February, but you don’t have to be born during February to love this stone. 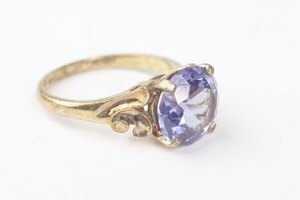 As a ring, amethyst can add a pop of violet color to your fingers. Oils, lotions and grime your hands come into contact with daily can tarnish the purple vibrancy of your ring, but cleaning it is easy to do thanks to the durability of this stone. Add one teaspoon of non-dye, chlorine and bleach-free dish soap to one cup of warm water. Stir up the mixture thoroughly. Ensure the water is warm, not hot. 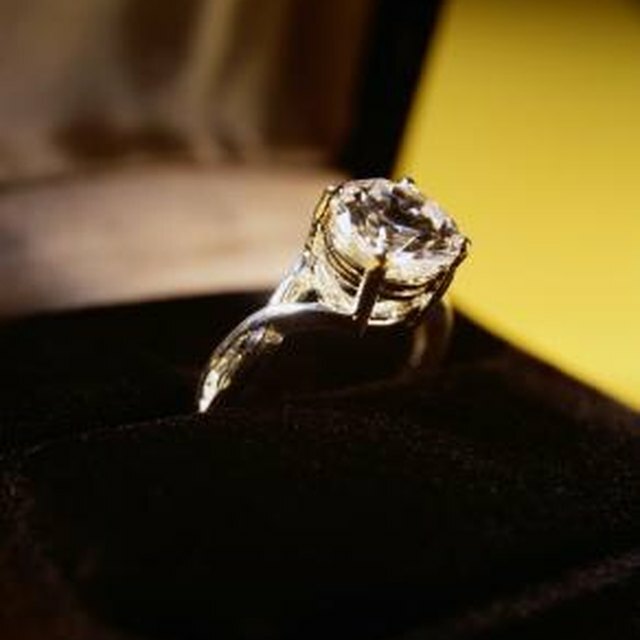 Submerge your ring into the solution and let it soak for five minutes before removing. Use a child’s toothbrush to scrub any tarnish or grime still present after soaking. Dip the ring into the solution once more. Hold the ring under a faucet running warm water for a minute to rinse away soap residue, then gently pat it dry with a clean, soft washcloth. Give it a rub with a polishing cloth to wipe away smudges. Store your amethyst ring in an individual ring box or velvet jewelry pouch. Keep it away from other pieces, as amethyst can damage and scratch other jewelry and vice versa. Never use extreme heat, such as steaming or hot water, to clean amethyst. Heat can dull the color of amethyst.